RST Electrical has recently undertaken the gradual electrical upgrade contract of a listed building in Carlton-in-Lindrick. 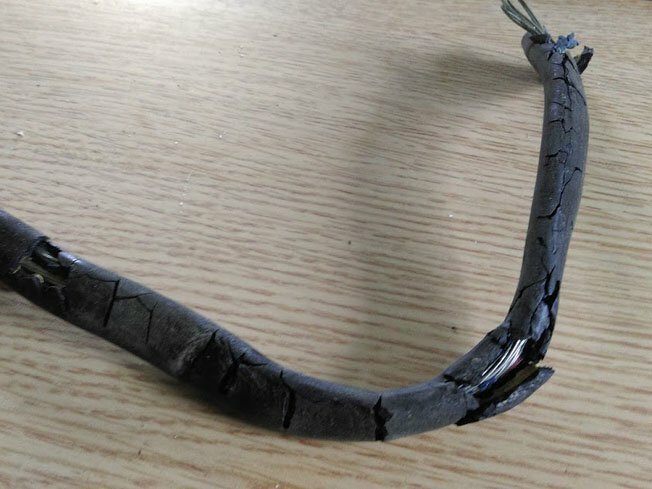 The existing wiring is a mixture of 5 and 13 amp supplies, and it's showing its age, with sections of insulation becoming brittle and cracked, due to age and overloading over the years. We even found 5 amp supplies which had been replaced with 13 amp sockets. Due to the size of the property, the rewiring work is not all being undertaken all at once. The client has prioritised particular rooms, which are to be completed first. RST has installed a modern distribution board which will eventually replace the old fuse boards. Our electrical engineers have laid cables which will accommodate the immediate upgrades and future installations, one room at a time, can be transferred to the new supply. The project is not without its problems. 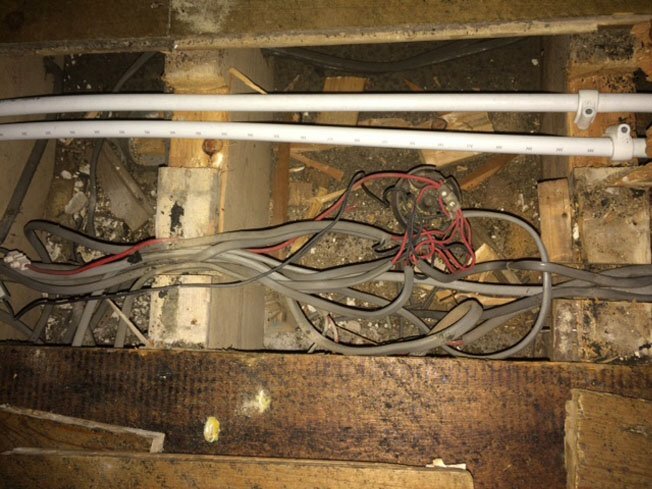 The main difficulty has been finding suitable locations to run cables without interfering with the fabric of the building and also deciding how best to disconnect redundant supplies without affecting other unexpected areas. It's not just old houses with wiring in need of upgrade. The seconf picture was taken at a modern rental property in Worksop. It's not just an electrician that can see fault with this bird's nest. How well do you know your wiring in your house? Contact us about performing an audit of your current electrical wiring. For more information about electrical upgrades, please call us on 07860 775307 or email info@rst-electrical.co.uk.